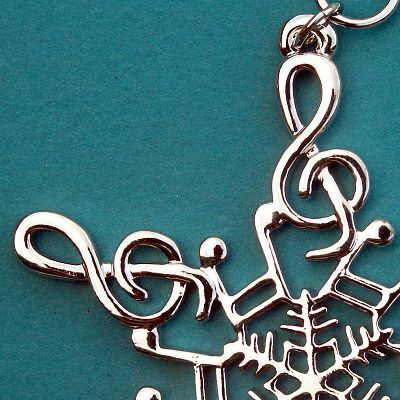 - Treble clefs and musical notes form the arms of this delicate snowflake ornament. 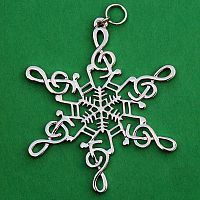 Made of silverplated pewter, and ready to hang on your holiday tree. Measures 2 5/8" tall. 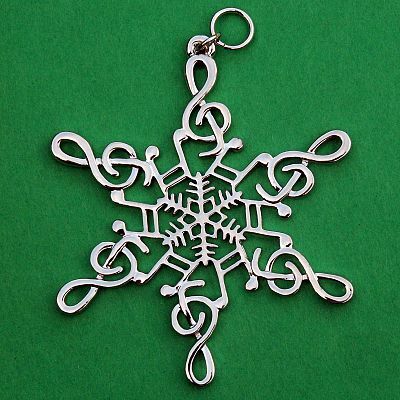 Do you have any other questions about our Music Snowflake Ornament? This is a lovely ornament, even prettier in person than it is in the picture. 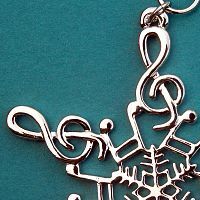 It will make a wonderful Christmas present for my daughter's piano teacher.